Bob Lind has enjoyed a sizable cult following based on a rather small body of work; he released just four albums between 1966 and 1971 (one a collection of demos never intended for commercial release), and landed just one single in the Top 40, but he's acknowledged as one of the key artists in the '60s folk-rock boom, and over 200 different artists have recorded his songs. Robert Neale Lind was born in Baltimore, Maryland on November 25, 1944. His family moved a great deal when he was young, but as a teenager he settled in Denver, Colorado, and began singing rock & roll and rhythm & blues when he was in eighth grade. In high school, Lind formed a band called the Moonlighters, and while attending Western State University in Gunnison, Colorado, he led a rock group, Bob Lind & the Misfits, specializing in early rock covers. As a new breed of songwriters emerged on the folk music scene in the early '60s, Lind took up songwriting and started playing occasional shows at local coffee houses. He relocated to San Francisco, where he continued writing songs and playing small venues, and in 1965, he headed south to Los Angeles, where he scored an audition with World Pacific Records, a subsidiary of Liberty Records. World Pacific signed Lind to a record contract, and after he landed a publishing deal with Metric Music, he was introduced to producer and arranger Jack Nitzsche, who liked Lind's songs and agreed to work with him. With Nitzsche providing artful backdrops for Lind's emotionally literate songs, the two proved to be an inspired pairing in the studio, and World Pacific had high hopes for Lind's first single, "Cheryl's Goin' Home." However, several disc jockeys began playing the flipside, "Elusive Butterfly," and the song rose to number five on the Billboard Singles charts in 1966. The 1971 "Since There Were Circles" is a really interesting release, and a perfect example of how important it is to support well-designed reissues, a fine record. City Scenes makes a perfect album opener. Introducing the modest, effective orchestra of driving acoustic guitar, piano accents, electric slide guitar, and laid-back drum kit (not to mention players The Dillards, Bernie Leadon, and Gene Clark), Lind immediately wraps his nice voice around poetic storyteller verses. It closes with an unexpected little treasure of an outro, adding a sweet, smooth french horn line. Fine songcraft. Listening to Loser, I can’t help but imagine Lind as a roots-rock David Bowie; either by inflection of the voice or it’s the lyricism, perhaps, they are kindred spirits. Bob keeps it pretty soulful and groovy on tracks like She Can Get Along, with its vocal workout ending, and the lazy Not That I Would Want Her Back, featuring more orchestral backing on the choruses. The softer numbers are melodic gems that will stay with you. Theme From The Music Box and the title track, Since There Were Circles, are melancholy and wonderful. 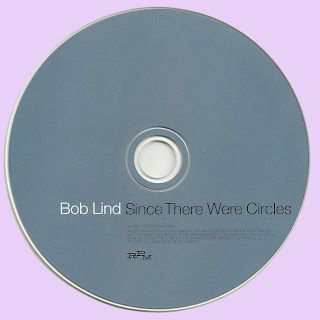 Five bonus tracks supplied by Bob Lind himself stand apart from the flow of the album, but stand strongly on their own. Get yourself this beautiful 2006 reissue from the fine UK label RPM Records and give it up to Bob Lind, who certainly had much more music left in him after his 1966 #5 folk hit, Elusive Butterfly. I keep coming back to this esoteric beauty. Truly inspirational work!! And why wouldn't it be when you look at the stellar band line-up!! Special mention to the uber talented Ms Carole Kay! Got any more of the Lind stuff marios? I'd love to hear it. 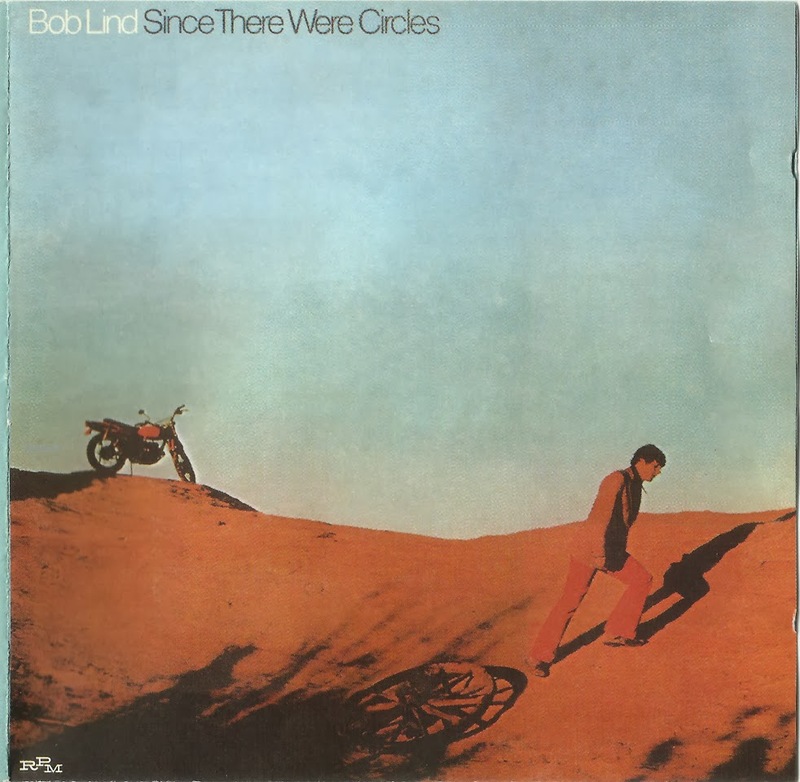 Bob Lind returned last year with a terrific new LP. 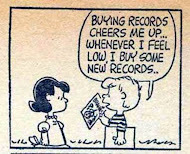 i was looking this one so long agooo, thank you for posting this kind of gems, hope to see more of Lind and hope you keep posting this lost great records. Thank you!